Brussels, April 19 2016 — Globally agreed goals to curb the HIV epidemic by 2020 will not be met unless the HIV response is drastically accelerated in West and Central Africa, where people living with HIV continue to suffer needlessly and die silently, the international humanitarian organization Doctors Without Borders/Médecins Sans Frontières (MSF) warned in a new report released today. MSF calls for UN agencies, European donor agencies, the Global Fund and PEPFAR, as well as affected governments and civil society, to develop and implement a fast-track plan to scale-up life-saving antiretroviral treatment (ART) for countries where ART coverage reaches less than one-third of the population in need, particularly in West and Central Africa. MSF’s report “Out of Focus: How millions of people in West and Central Africa are being left out of the global HIV response” explores the causes of the treatment gap in a vast region comprising 25 countries, with detailed case studies on three contexts: Central African Republic, Democratic Republic of Congo and Guinea. “The converging trend of international agencies to focus on high-burden countries and HIV ‘hotspots’ in Sub-Saharan Africa risks overlooking the importance of closing the treatment gap in regions with low antiretroviral coverage. 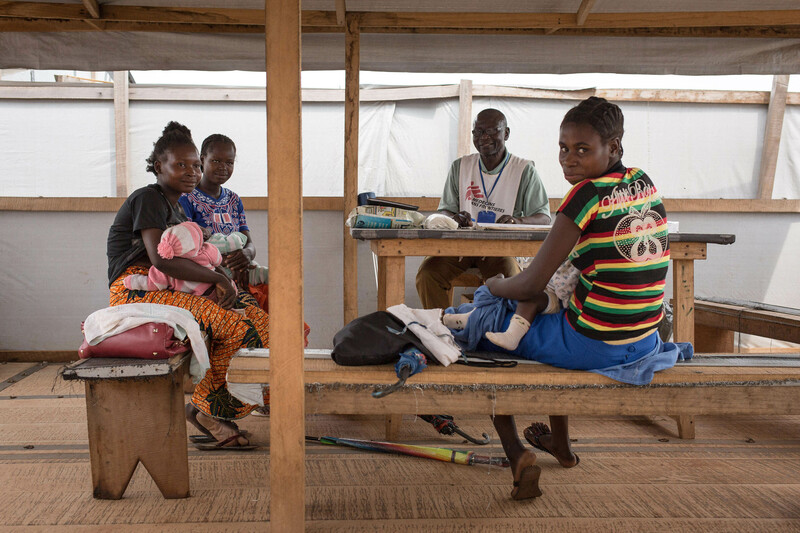 The needs in West and Central Africa remain enormous with three out of four people in need not accessing HIV care – that’s five million out of the 15 million new people worldwide who should be started on treatment by 2020”, says Dr Eric Goemaere, MSF’s HIV referent. “The continuous neglect of the region is a tragic, strategic mistake: leaving the virus unchecked to do its deadly work in West and Central Africa jeopardizes the goal of curbing HIV/AIDS worldwide”. The West and Central Africa region is considered as having a low HIV prevalence with 2.3% of the population living with the virus. However, it is three times the worldwide prevalence of 0.8% and pockets in the region have more than 5% of their population living with HIV, the threshold defining high prevalence. Despite this deceptively low average prevalence, the region accounts for one in five new HIV infections globally, one in four AIDS-related deaths and close to half of all children born with the virus. This is due to a very low antiretroviral treatment (ART) coverage that barely reaches 24% of the population in need. MSF’s report finds that in West and Central Africa needs are underestimated and little priority is given to HIV as a health issue in the region. The route to obtaining HIV treatment is an obstacle course for people living with HIV with barriers such as stigma, stock outs of diagnostics and drugs, patient fees, and unaffordable, burdensome and poor quality services. Recurrent crises following violence or epidemics compound already existing challenges to accessing HIV care. The report recommends major changes in policies and models of care reflecting both lessons learned from progress in the fight against HIV elsewhere as well as innovative approaches specially tailored to contexts with low ART coverage. “Closing the treatment gap in West and Central Africa will happen either now or never. Countries with low antiretroviral coverage need to take advantage of the renewed ambitions worldwide to accelerate scale up of their HIV response”, says Dr Mit Philips, health policy advisor at MSF. “But it is unrealistic to think they can break the deadly status quo alone. If the world is serious in its goal of defeating AIDS, it is time to correct a too narrow focus of the Fast Track strategy and, as a matter of priority and urgency, to bring lifesaving ARVs to some of the most neglected victims of HIV/AIDS”. The international humanitarian organization Médecins Sans Frontières (MSF) has been working on HIV/AIDS since the late 1990’s. It currently supports treatment for over 200,000 patients in 19 countries, primarily in Africa. This includes HIV programs and activities in West and Central Africa: DRC, Guinea, CAR, Chad, Niger and Mali as well as other countries with low ART coverage such as South Sudan, Yemen and Myanmar. West and Central Africa is composed of 25 countries: Benin, Burkina Faso, Burundi, Cameroon, Cape Verde, Central African Republic, Chad, Congo, Cote d’Ivoire, Democratic Republic of the Congo, Equatorial Guinea, Gabon, Gambia, Ghana, Guinea, Guinea-Bissau, Liberia, Mali, Mauritania, Niger, Nigeria, São Tomé and Príncipe, Senegal, Sierra Leone, Togo.